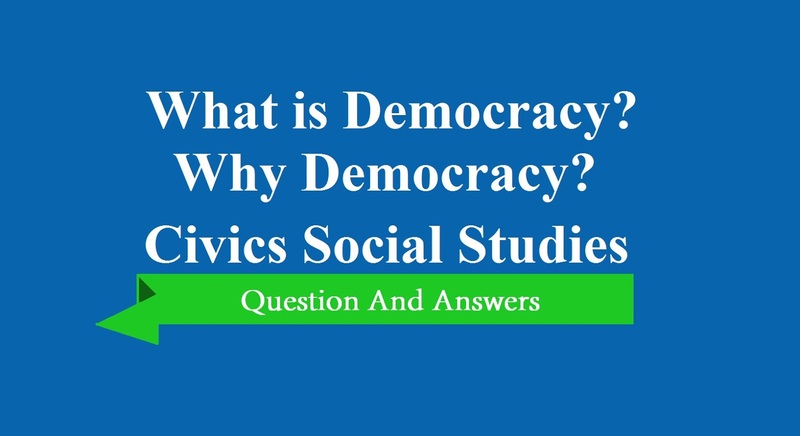 Class 9 Social Science Chapter 2 What is Democracy Why Democracy NCERT Solution is given below. Here is some information about four countries. Based on this information, how would you Classify each of these countries. Write ‘democratic’, ‘undemocratic’ or ‘not sure’ against each of these. (c) Country R: The country’s leaders cannot sign any treaty with another country without taking permission from its neighboring country. Which of these is not a good argument in favour of democracy? Why? The argument ‘d’, which states that “Democracies are more prosperous than others”, is not a good argument in favour of democracy. This is because some democracies like India are still developing economically, while monarchies like the states of UAE are economically strong. Each of these statements contains a democratic and an undemocratic element. Write out the two separately for each statement. (b) The Election Commission ordered re-polling in a constituency where large scale rigging was reported. (c) Women’s representation in the parliament has never reached 10 per cent. This led women’s organisations to demand one-third seats for women. Which of these is not a valid reason for arguing that there is a lesser possibility of famine in a democratic country? There are 40 villages in a district where the government has made no provision for drinking water. These villagers met and considered many methods of forcing the government to respond to their need. Which of these is not a democratic method? Write a response to the following arguments against democracy. A democracy is the government elected by the people, from among the people themselves. The Army is integral in protecting the country, but it is not elected by the people; hence, it cannot form a democratic government. The second statement is not true as all people are intelligent to some extent. The third statement is dangerous because bringing religion into politics can cause serious conflict. Are the following statements in keeping with democracy as a value? Why? 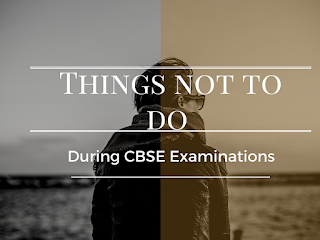 The first two statements are undemocratic as the girl is denied any opportunity to voice her opinion about her own marriage and the student is denied the right to clear his doubts by asking questions. The third statement is democratic as it calls for a rule of law which is beneficial for the employees. Consider the following facts about a country and decide if you would call it a democracy. Give reasons to support your decision. The country is not a democracy. The people have the right to vote but they do not have the right to free speech and demonstrations. The country is also under economic sanctions, which means that the people cannot take their own economic decisions. The government’s censorship of the media prevents the public from voicing its opinion. If an average Black family earns $ 100 then the income of average White family is $ 162. A White family has twelve times more wealth than the average Black family. In a President’s election ‘nearly 9 out of 10 individuals in families with income over $ 75,000 have voted. These people are the top 20% of the population in terms of their income. On the other hand only 5 people out of 10 from families with income less than $ 15,000 have voted. They are the bottom 20% of the population in terms of their income. About 95% contribution to the political parties comes from the rich. This gives them opportunity to express their opinions and concerns, which is not available to most citizens. As poor sections participate less in politics, the government does not listen to their concerns - coming out of poverty, getting job, education, health, car and housing for them. Politicians hear most regularly about the concerns of business persons and the rich. 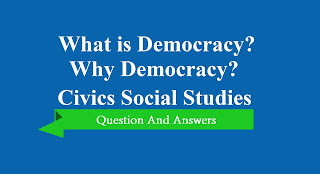 Write an essay on ‘Democracy and Poverty’ using the information given in this report but using examples from India.